Food, Hiking, and Nightlife in Hawaii! Let’s start off with please do not do these events in that order! Again, my friend and I went to Hawaii together as a girls trip and although we had an AMAZING time, we were exhausted EVERY night! But that didn’t stop us from enjoying delicious meals, hiking an awesome trail, and partying until the sun came up. If you have no idea where to go in Hawaii, here’s a start for you! Foods that are a MUST try! 1. M.A.C. 24/7 UMMM a absolute MUST! We ordered a meal and it was soo much food we split it and still got full! It consisted of Hawaii’s favorites such as kalibi, terryaki chicken, seared tuna, and rice . 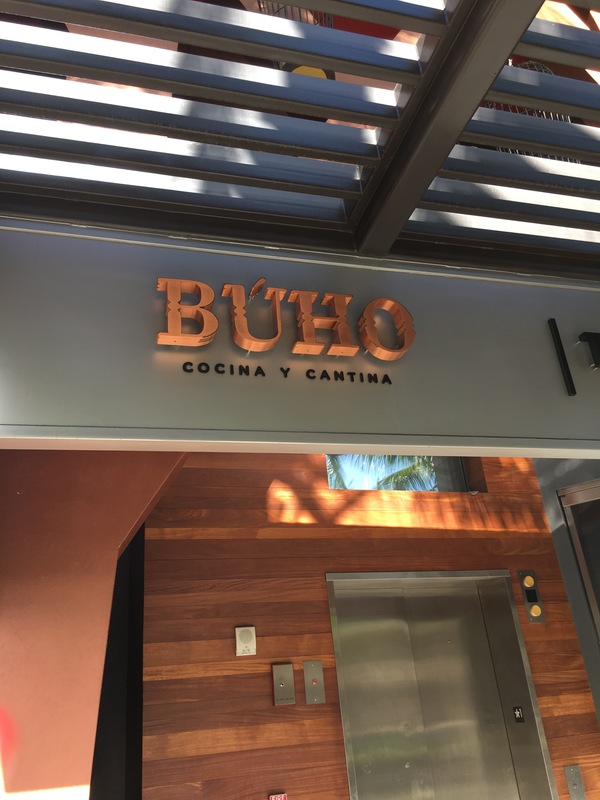 This restaurant in located at the Hyatt in Waikiki. 2. 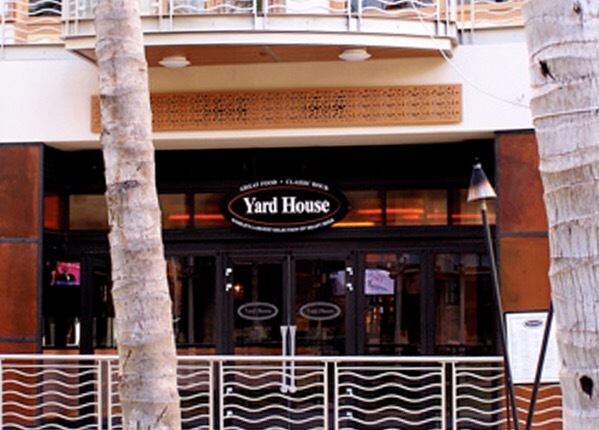 Yard house– at this place I tried duck wings for the first time. They had an interesting taste but after having a flight of Hawaii’s favorite beers, they were the most delicious wings ever! 3. Raging Crab– OMG! This is a small restaurant on a corner but when I tell you that this was the best seafood I’ve had in a very long time! 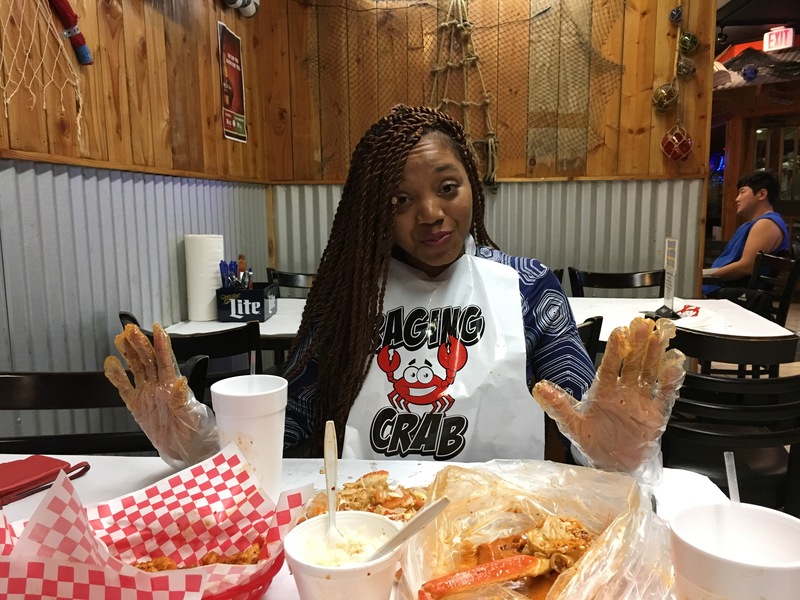 Again, my friend and I split a meal in a bag which had a mixture of lemon pepper, spicy Cajun and garlic butter crab legs, shrimp, and sausage. 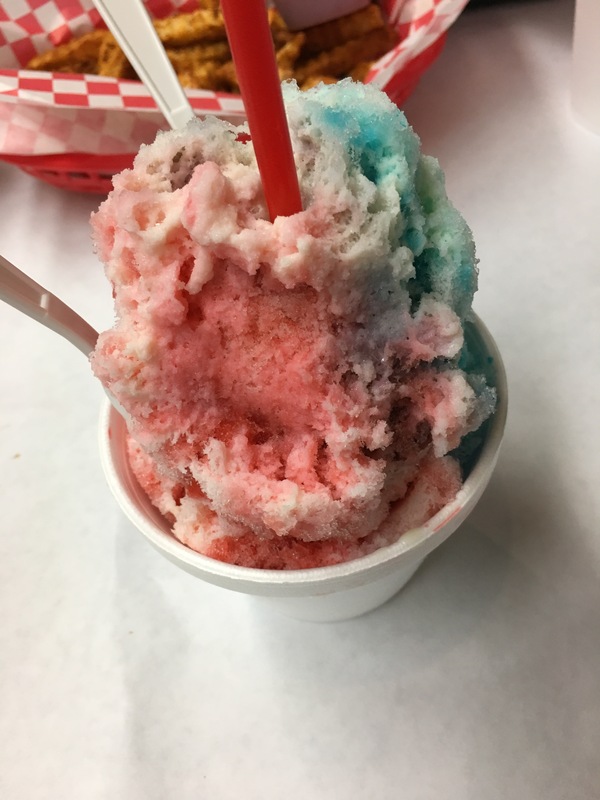 Also we had the cheesy garlic bread and the most amazing shaved ice! 4. 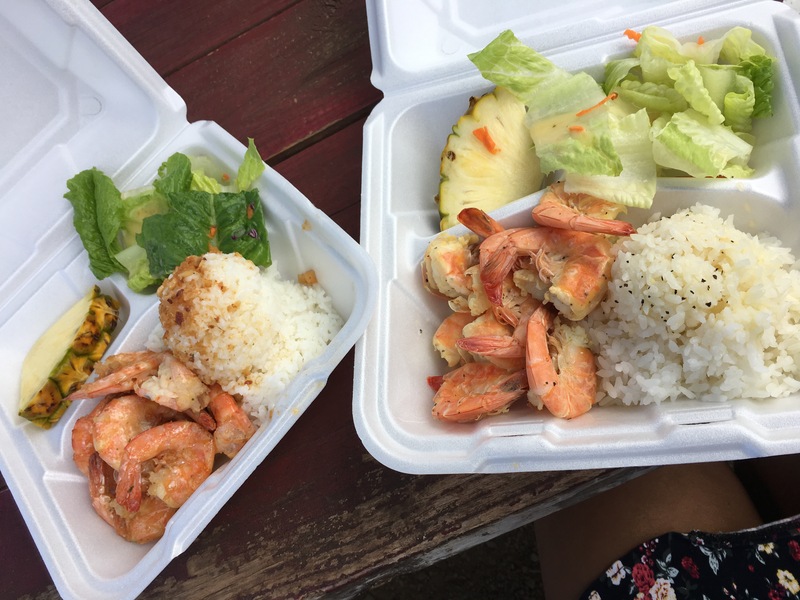 Mackeys shrimp truck garlic butter shrimp were also a fav! The shrimp was soo fresh and it was such a cute outdoor set up. Located by the beach so you’ll enjoy some amazing views. 5. 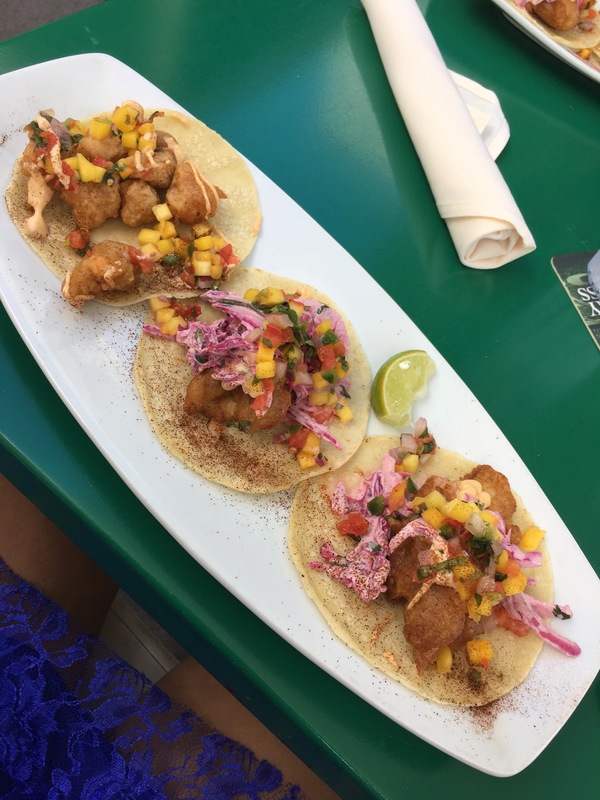 Buho fish tacos and shrimp tacos were also a hit. I know I keep saying that everything was my favorite but this was also a fan favorite. Those tacos were soo delicious! Just look at them! 6. 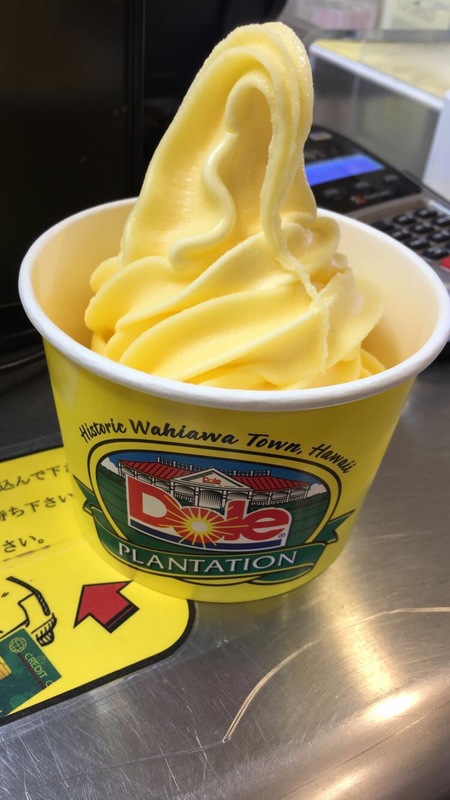 Dole plantation pineapple whip ice cream If you’re a fan of Pineapple then you would ABSOLUTELY love their pineapple whipped ice cream! It was to die for! 7. 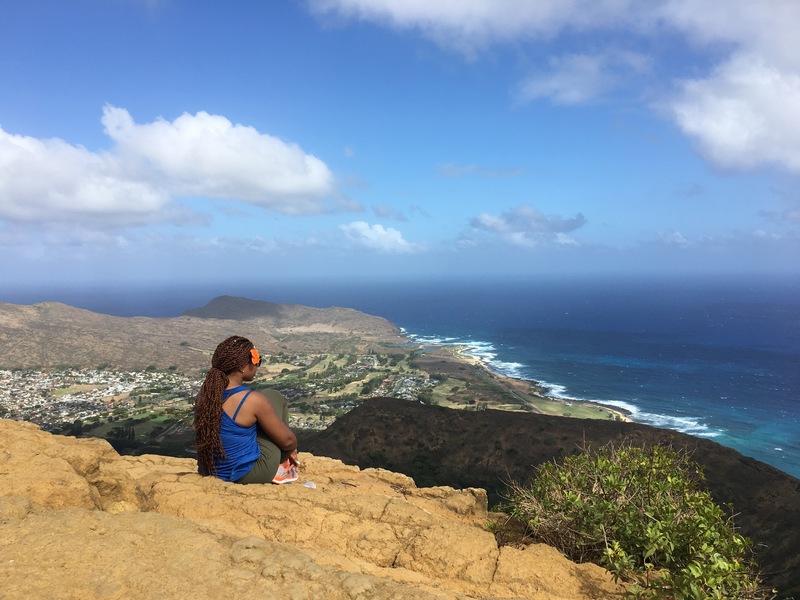 Kokohead peak-Don’t get me wrong, I absolutely love hiking when it’s not dangerous and there’s not a chance I could fall through a railroad track. I seriously wanted to turn back halfway up but I’m soo glad I didn’t. It was absolutely beautiful at the top. It took us about 35-40 minutes getting up there but totally worth it. 8. 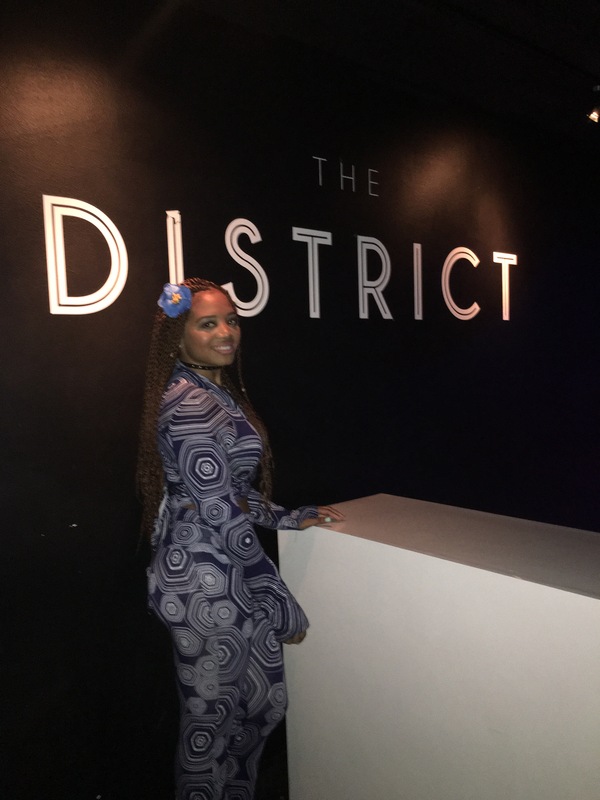 The District was the first nightclub that my friend and I went to in Hawaii. We were soo exhausted after a day of hiking but we decided why not? We went to our hotel, took a nap, and woke up at 10pm. Boy was I glad we went! This club was soo nice with two rooms, two DJ’s, and two bars. It was strictly hip hop and it was completely packed! It was College night Wednesday but really mostly foreigners. We didn’t leave til it closed at 6am. 9. Addictions/ A-list Nightclub on Thursday night was soooo lit! This nightclub was also a hip hop club and it is located in The MODERN hotel in Waikiki. It’s smaller than The District consisting of one room but the DJ played some great music and it was a fun night full of dancing! Definitely recommend visiting! 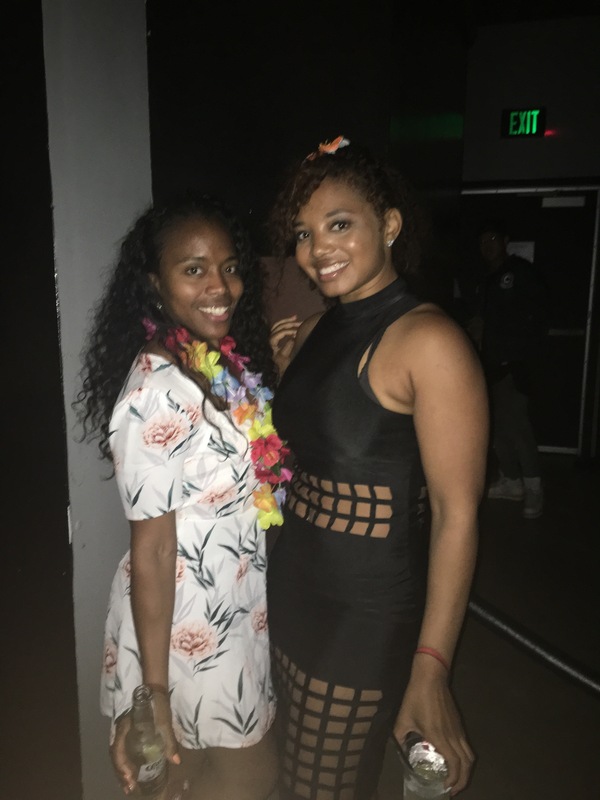 QUEENS and KINGS, if you’re ever looking for something to do in Hawaii, this blog will have you not sleeping and living life! Hope you enjoy. ← Hawaii’s Favorite Beaches, Bays, and Waterfalls!